This Iridescent Mystic Hair Clip is bling for your hair! 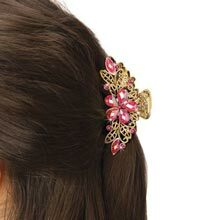 Gold-tone filigree hair clip is accented with iridescent faceted pink faux gems. Finished with an aurora borealis effect for extra shimmer. 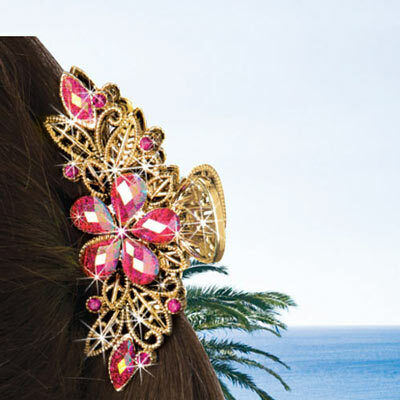 3½"l.